Nathan Adrian, a three-time Olympian, now has six medals, and has moved into the top 10 of most decorated Olympic swimmers. 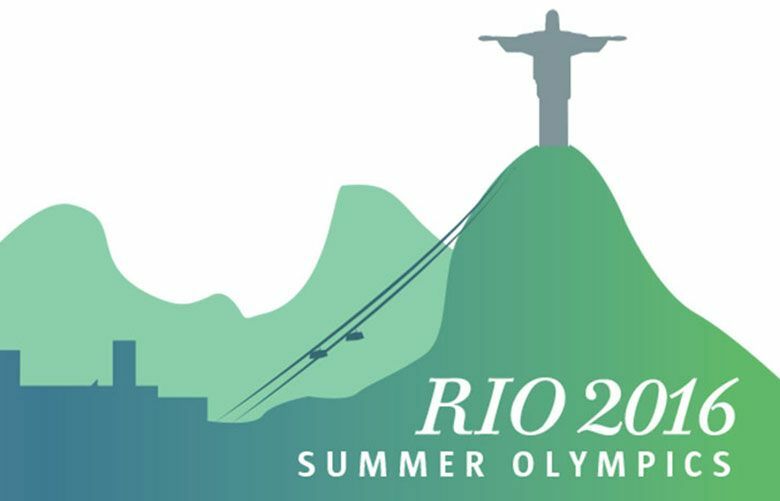 The defending champion lost the gold to 18-year-old Australian Kyle Chalmers in the final of the 100-meter freestyle Wednesday. RIO DE JANEIRO — The Olympic pool has a new king of speed. And, get this, it’s an Australian. 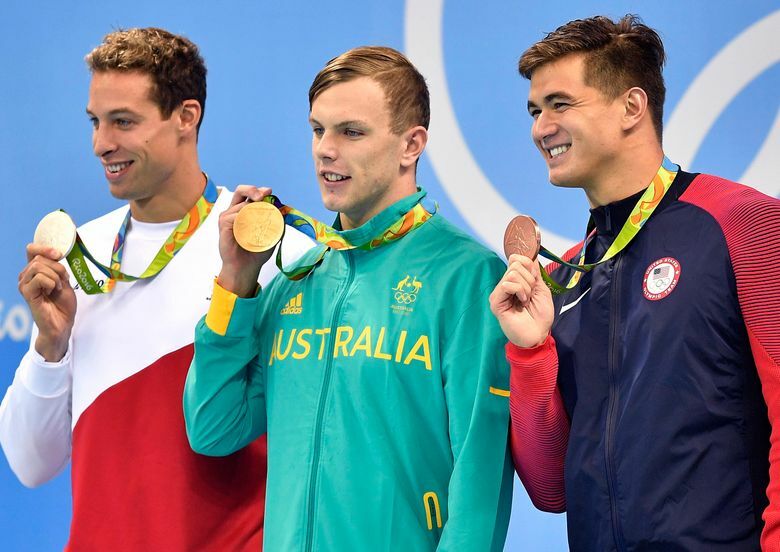 Eighteen-year-old Kyle Chalmers dethroned defending champion and Bremerton native Nathan Adrian in the final of the 100-meter freestyle Wednesday night, taking that title Down Under for the first time in 48 years. In a furious down-and-back sprint, Chalmers rallied on the return lap to win with a time of 47.58 seconds. Pieter Timmers of Belgium claimed the silver in 47.80, while Adrian made it onto the medal podium — with a bronze this time — in 47.85. For Australia, a country known more for its distance freestylers, Chalmers became the first 100 free champion since Michael Wenden at Mexico City in 1968. The teenager is also the youngest Olympic gold medalist in that event since 17-year-old Jorg Woithe of East Germany at the 1980 Moscow Games. Meantime, Katie Ledecky was the fastest swimmer in the pool, and she brought her American teammates along for the ride. Ledecky turned in a split of 1 minute 53.74 seconds, which was nearly 2.5 seconds faster than her next-fastest teammate, Allison Schmitt in 1:56.21. “I was prepared for any circumstance, whether we were ahead or behind,” Ledecky said. The U.S. finished in 7 minutes 43.03 seconds, with Ledecky a full body length ahead of Tamsin Cook, who touched in 7:44.87 to give Australia the silver. Canada took the bronze in 7:45.39. And get this: Ledecky’s relay time was only one-hundredth of a second slower than her winning time in the 200 free the previous night. “It’s good consistency, I guess,” she said nonchalantly. The teenager from suburban Washington has one more race to go, and it might be the biggest lock of all. She’s the world-record holder and defending Olympic champion in the 800 free. Then there’s Kazakhstan, which claimed its first Olympic swimming medal. A gold one, at that. Dmitriy Balandin pulled off a stunning upset in the men’s 200 breaststroke, winning from the eighth lane to put his central Asian country on the swimming medal stand for the first time. One night after winning the 20th and 21st gold medals of his career, Michael Phelps wasn’t up for any hardware. But he did cruise through the semifinals of the 200 individual medley with the fastest time, besting longtime rival and countryman Ryan Lochte.